James is the Content guru and Lead Speaker for Changing the Game Project. He is also Founder of Unleash the Athlete and former Head of Leadership and Character Development at IMG Academy. 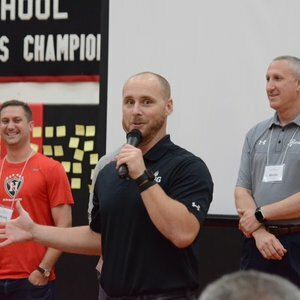 He teaches the mental strength skills and leadership development tools to athletes, coaches, and top performers through interactive lectures and team building activities. Using stories, improvisation, audience participation, and lots of energy, James provides an experience for the audience with clear takeaways for continued growth. Clinics like his “Do, Say, Be” formula for developing leaders and empowering them to take ownership in their personal development through goal setting, self-talk, commitment, and teamwork. He holds a Bachelor’s degree in Communication from Fresno State and a Master’s degree in Performance Psychology from National University. He was a collegiate athlete at Fresno St and has coached multiple sports at the youth and high school levels.